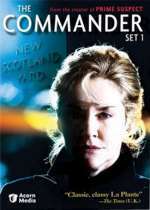 The Commander: Mystery and Suspense on Television. The Commander is a series of multi-part made-for-television movies that aired on ITV. 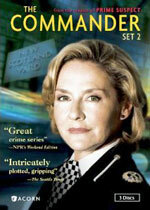 The series starred Amanda Burton as Clare Blake, New Scotland Yard's highest-ranking woman officer, the Serious Crime Group Commander, and head of the Murder Review Team. The series was developed by Lynda La Plante who also created the outstanding Prime Suspect series.